ΟΚ, thanks guys! I'll wait for the FSX version to come out! I'm assuming sir Thomas Ruth has been too busy with real-world endeavours and possibly Erick Cantu's model meshes to be working on these? I want an honorific too. Can I be Don? hey to PA team, the model looks great but there's one thing's been bothering me a lil... probably you guys wont do this but I just wanna show what's bothering me. Now I don't know if it's because of the modelling limitation but it doesn't seem right. I'm not judging or anything but if you ever (i said ever, even if you dont it's fine) do an update again, can you guys make it smoother of a curve? The bitmap names are the same and the mappings seem to be the same, so I guess you could say, "Yessir, the old(er) repaints should work too." well actually no, the seams and rivets are quite different and the engine mapping aint exactly the same, you will have to remove the green colours in the engine paintkit, replace the green to match the neighbourhood colours. I downloaded the new A320 paintkit and I've a question. Why are there so much copy layers? I don't understand this, for example fuse 41 layer copy or so on? because there's the left and right side of the airplane. thanks i forgot that it's only one fuselage with both sides. Can someone please explain to me how you install this? All I have in the v2.1 folder is models. Do I just replace the old model folders in my old A320 installed aircraft with the new ones and replace the textures? I am so confused. The Instructions make no sense. And when installing the FSX models, where do I place the file? Do I replace something with the FSX models? Please help! Thanks! sorry I don't have fsx, but what I did was to just delete the old model folder from the project airbus A320 in the aircraft folder, then add all three of the 100 and 200 model folders in it. Then replaced the data in the aircraft.cfg in the folder. But that's how I did. The other way is too copy all the 4 folders that came with the 2.1 you should have 1 folder for the A320-111, 1 folder for the A320-214, 1 for A320-232 and 1 folder for the Project Airbus A320 v2.1. Copy all 4, paste them in your FS aircraft folder, then paste your textures in their respective variants, and replace the aircraft.cfg with your existing one. Is there a A320-211 version for the new 2.1 model? I saw a repaint for a Air France plane and it says it's for the new 2.1 model. It says it's for the A320-211 version. But I don't have a 211 model. The models I have are 111, 232, and 214.
hey joseph, the 211 and 214 are the same model, use the 214 for the 211 repaints. Nixpilot wrote: sorry I don't have fsx, but what I did was to just delete the old model folder from the project airbus A320 in the aircraft folder, then add all three of the 100 and 200 model folders in it. Then replaced the data in the aircraft.cfg in the folder. But that's how I did. So basically the old A320's that are installed, I keep them expect replace the model folder with the ones provided in the download from the v2.1 folder? But when I go into the "Project Airbus A320 V2.1" folder there is only the model folder documents and nothing else so where do I get my updated aircraft.cfg from? Also, do I need to add new effects to my effects folder for the new v2.1 or keep the old ones, or delete them all together? So basically all the A320 models in the download are the updated v2.1 models? The download had the 4 A320 models but only one of them was labeled v2.1 so I thought that was the only folder that was updated to the new model. So from here what do I do to get v2.1 flying? Also, how do I install livery's? I downloaded the jetBlue pack on the A320 download page but there are only textures no text files that have the info I place into the aircraft.cfg. This has to be the most confusing install I have ever done. Thanks again! I really appreciate it! I did. It makes absolutey no sense. I read it over about 10 times and I dont understand anything. Could you possibly answer my questions (the one right above your response) since you are part of the PA team? Thank you! All the model files are inside 'Project Airbus A320 V2.1'; there are 3 other folders because the .air file and aircraft.cfg differ between the -111, -214 and -232 variants. If you're wondering what these numbers mean the first number is the series, the second number is the engine make (1 is CFM and 3 IAE), and the third the engine model. So all I am doing is replacing the model? So all I am doing is replacing the models on the existing A320 aircraft with the ones from the v2.1 download? Couldn't resist and tried the V2.1 in FSX - not a single problem noticed so far! I have never seen a more realistic wing flex, congratulations!! Thanks for an awsome job!.. LN-OSS wrote: Thanks for an awsome job!.. Also, the new Airbus series use brand new Pratt & Whitney PW1100G engines as well! 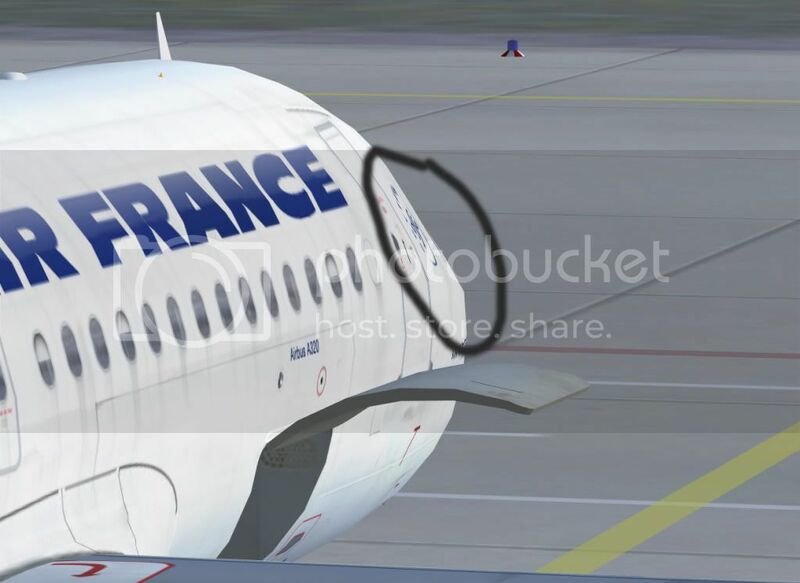 Just a question, the A319 the bottom beacon reflects on the engines but on the A320 it doesn't, does it come from the model? Guys, I use FSX and v2.1 and works brilliantly! Fantastic aircraft and modelling. Congratulations and well done to all of the team! booforty wrote: Guys, I use FSX and v2.1 and works brilliantly! Looks like the nav- and strobe- lights are becoming LED lights . Anyone care to shine some light on this? corresponding one given in the the V2.1 version! The V2.0 paints work with the the V2.1 version but there are also new V2.1 paints in the libraries! I had already V2.0 installed in FSx. That's all, works without problems! Only limitation: because it's an Fs9 model you cannot have a VC in fsx! Well, excluding your last sentence for which I say: "Thank you", one really does not know what's going on behind the scenes therefore, one really does not say what we should do and also, provided that we are NOT a payware company, we aren't obliged through money to follow what other payware companies are doing. Just a slight hint, everybody on the forum accepts the fact that one can have problems with the English language but, writing you are as ur, for as fr and but as bt, only makes it illegible. My guess is that there are more people flying FS9 than FSX in the world. I may be wrong of course, and I agree that as time goes on FSX is bound to grow. It must - FS9 is no longer available. Either way, FS9 is still an important market and many companies continue to produce payware sceneries and aircraft for it. On the freeware side of things, development of advanced aircraft for FS9 continues apace. Apart from PA, Milton Shupe's group are in full swing and there are many others. I believe the reason why PA makes things for FS9 first, then FS10 is because more poor people use FS9. They simply don't have a goon enough computer to handle FSX, so they use FS9 and use freeware add-on aircraft. Yes, more people use FSX (probably), but they use payware add-on as well. that's wrong, I know some poor people who uses fsx tho they dont have a lot of addons. I use fs9 but I have lots of add-ons that doesnt mean i'm poor. Staying in FS9 is a matter of staying in their comfort zone. Nixpilot wrote: that's wrong, I know some poor people who uses fsx tho they dont have a lot of addons. I use fs9 but I have lots of add-ons that doesnt mean i'm poor. Staying in FS9 is a matter of staying in their comfort zone. Well I'm not really poor, but my parents won't buy me a good computer, (mine has 2.40GHz single core, 1.25GB RAM, 128MB Graphic card), but I still use FSX. I'm thinking about switching to FS9 now. Now so long as PA release an FSX model of the A320 v2.1 then they can continue this support as atleast we can use every PA model with good FPS and a VC. No one's in the mood to complete the FSX models. That's all there is to it. esg wrote: No one's in the mood to complete the FSX models. That's all there is to it. well said. there shouldnt be anyone that cant respect your honesty.